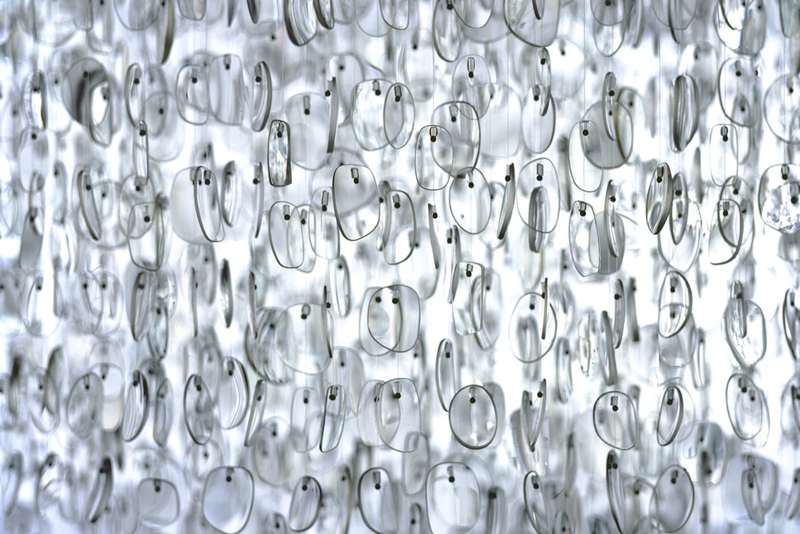 The Optical chandelier is created from over 4500 clear prescriptive spectacle lenses extracted from used frames. The dense mass of lenses form a precise spherical shape with reference to a disco mirror-ball, but rather than the light being reflected the light is refracted through the many layers of lenses. In a similar way to a mirrored disco-ball a magical explosion of light is created throughout the surrounding environment. Material – Clear spectacle lenses, micro cable and painted MDF ceiling platform.